When your stomach is bloated, you will experience indigestion, stomach pain, etc. 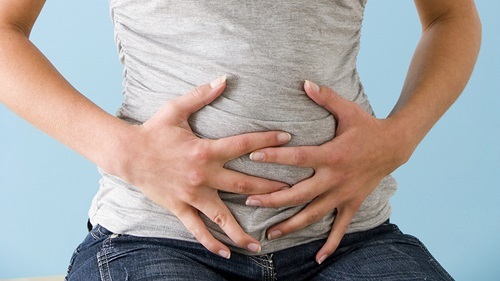 So it's vital to know why bloating happens hand how to deal with it! A feeling of fullness and discomfort around the abdomen, as well as a distended stomach, is often caused by a bloated stomach. Bloating of the stomach can also cause pain and cramping. Pain may sometimes be intense and travel along the abdomen. In a severe case, you may even be rendered incapable of conducting your daily activities in normal manners. Bloating of the stomach can occur due to various factors like inactivity, an improper diet, certain medications or infections. Understanding some of these causes and treatment methods may be extremely beneficial for anyone who suffer from a bloated stomach. Bloating of the stomach can occur due to a number of causes. Below are some common and less common causes of bloated stomach. This is a condition that occurs when stomach contents flow back up into the esophagus. This happens when the lower esophageal sphincter does not work properly. Irritation of the esophagus can cause symptoms of heartburn and bloating along with nausea and burping, etc. Some people may be allergic or may not be able to digest sugar or lactose in milk or milk products. This occurs when the intestines do not produce sufficient lactase enzyme to help in food absorption. Abdominal bloating, flatulence and diarrhea are common symptoms of lactose intolerance. Abdominal pain, cramping, bloating and other symptoms may also occur due to a condition known as irritable bowel syndrome or IBS. This occurs due to stress or various foods. The exact cause of IBS is unclear; therefore, there is no cure for the syndrome although triggers can be avoided. Sometimes, bloating may occur due to excess fluid in the abdominal area caused by excessive sodium intake. 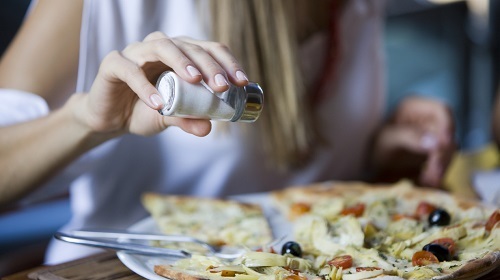 Sodium helps retain water and any person experiencing bloating in the stomach should be aware of the sodium levels in their diet. Cancer that begins in the ovaries is referred to as ovarian cancer. This is one of the most common forms of cancer affecting many women. Bloating, a feeling of fullness, difficulty eating or feeling full quickly, and stomach pain are common symptoms of this condition. Getting rid of a bloated stomach depends on what is causing the bloating. Bloating caused by GERD can be prevented by avoiding foods that cause acid reflux. Antacids may also help relieve pain as a result of bloating. Bloating caused by lactose intolerance can be prevented by avoiding the consumption of dairy products. Bloated stomach caused by IBS symptoms can be relieved by taking natural supplements that reduce bloating. Probiotics, enteric-coated peppermints, soluble fiber supplements and enzyme products can all help relieve bloating. If bloating occurs due to excessive sodium intake, reducing the intake of sodium can help relieve feelings of bloating. Ensure that the frozen foods you take have less than 500gm of sodium per serving. You can also go for foods that have labels that read "low sodium" or "sodium free". Persistent bloating that lasts more than a month may be caused by ovarian cancer, and this requires immediate medical intervention. If any one or more of the above symptoms are present, seek medical attention immediately. 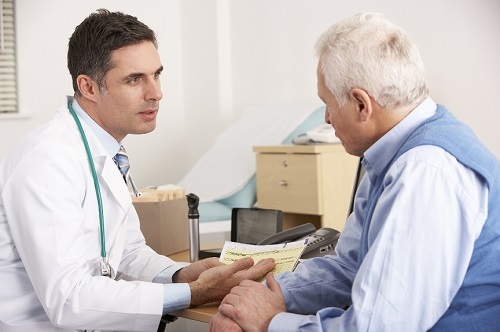 With proper medications, the symptoms can be alleviated, even if some causes of bloated stomachs may be incurable.